Synergy Financial Advisers are led by an experienced team of practitioners and industry experts. With a singular vision in mind, the management team strives to work together to progressively develop their people and processes professionally, to help clients achieve financial freedom. The successes of Synergy within a short span of two years is a testament to their commitment and capabilities. Adrian is a veteran in the Financial Services Industry. He started in sales in 1993 and proceeded to Management in 1997. In 2005, Adrian was elected to be the President of GAMA Singapore and in 2006, as President of Financial Services Management of Singapore. 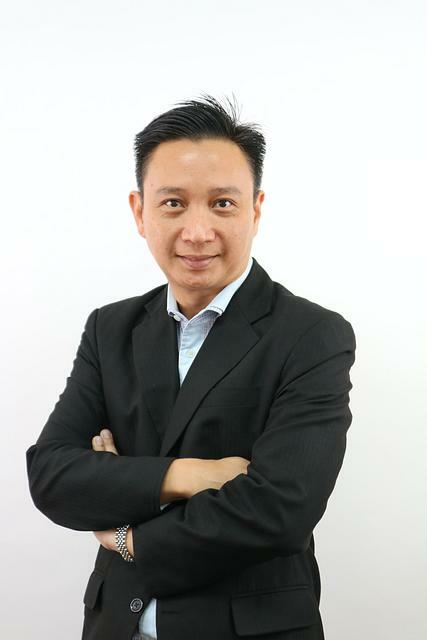 In 2013, he lead Synergy Financial Advisers Pte Ltd as the CEO. Having spoken at numerous events, he is a sought after Public Speaker and a trainer/facilitator for many management programs. Jeff graduated from the NUS where he received his BBA (Hons) Degree and a M.Sc. Degree in Management. He is also a CFP®. He has served as Chairman of the Examination Board of FPAS from 2014 to 2017. He has recently been conferred the IBF Fellow Award in Financial Planning. He currently serves in the Professional Standards Committee of the FPSB (USA) and lectures at Singapore University of Social Sciences as its Associate Faculty. Kelvin has been involved in the field of financial planning for 15 years. He is an MDRT qualifier and has more than 10 year of agency management. Active in the media space, he has been a speaker on Money Sense from 2005 – 2006. Between the years of 2004 - 2007, he functioned as a Financial Planning Director in a reputable IFA involved in setting up the advisory process. He graduated from the Nanyang Technological University in 1999 with a degree in Electrical and Electronic Engineering (Major in Information System) and has professional qualifications CFP and ChFC. Seng Huat serves as the legal and compliance counsel in Synergy. Not only is he a member of the FBI National Academy Associates, Inc. (FBINAA) in USA, he comes equipped with over 35 years of experience, including 17 years of law enforcement in the Prime Minister’s Office, internal audit and risk management. Skilled in interviewing techniques and trained in fraud investigation, he has advised many companies and financial institutions in SEA on regulatory compliance and risk assessment. At the core of his work, Seng Huat strives to provide solutions that protect both Synergy and its clients’ best interests in this highly regulated industry. Arthur has over 20 years of experience in the insurance and banking industry, holding various roles in sales, distribution and business development arena in DBS, OUB and Prudential. Prior to joining SYNERGY, he was the Agency Director under the Agency Channel Management of Manulife where he managed the business and agency growth and development. Beside driving recruitment targets, he had also successfully managed the implementation of major projects from the growth in business, to the development of MDRT campaigns with rewards and incentives to increase the number of qualifiers. As the Head of Financial Advisory now, Arthur is responsible for leading and driving our growth strategy through quality recruitment and sustained productivity of Financial Adviser Representatives. Prior to joining SYNERGY, Bernard was a successful engineer where he delivered critical analysis for informed decision-making in a dynamic-paced environment. His meticulous work approach proved to be an essential element in business quality control and risk mitigation. As the Head of Business Development now, Bernard is responsible for monitoring the sustained growth of sales, productivity and recruitment in SYNERGY. He and his team is also responsible for advisors’ engagement and communication activities. Bernard holds a Bachelor of Engineering (Hons), specializing in Microelectronics from the Nanyang Technological University. He also has a Graduate Diploma in Finance & Investment. Maximus graduated with a Master of Science in Communication and Networks Systems as well as a Bachelor Degree in Engineering (Electrical) from the Nanyang Technological University. He has spent the last 20 years working in the IT services domain especially in the financial and banking sector. Companies he has worked with include DBS, NETS and NCS. Passionate about applying and leveraging on IT to provide greater values and work efficiency to users, Maximus’ move to SYNERGY was a natural fit. He envisions to transform SYNERGY into a more IT-abled financial advisory firm through greater innovation and IT applications. Evon has over six years of financial services industry experience working within the regulatory compliance landscape of banking, insurance and investment advisers. 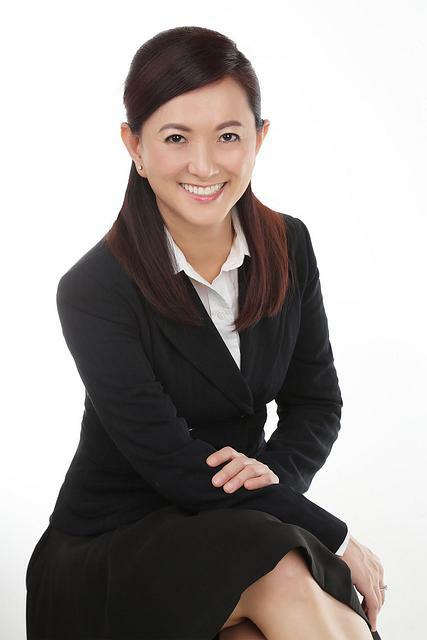 Prior to joining SYNERGY, Evon was involved with business development in DBS Bank, HSBC Bank and Jardine Lloyd Thompson; she then moved on to serve as the Compliance Manager with SYNERGY where she was responsible for the implementation, integrity and independency of the company’s Balanced Scorecard Framework on top of other major compliance audits and monitoring program she has put in place for the Legal & Compliance Department. Evon received a Bachelor degree in Banking and Finance from the Murdoch University and has a Certificate in Governance, Risk and Compliance from the International Compliance Association. She believes that continuous learning and professional development for everyone is the key to embedding a strong compliance culture in SYNERGY. Joining Synergy at the young age of 23, Andrew Lee's flair and client-focused attitude gained him multiple achievements throughout his career as a Financial Adviser, including the coveted membership at the Million Dollar Round Table (MDRT). His other achievements before promoting to an Agency Leader includes: Top Rookie, Top Producer, Top Case Count and the consecutive Conference Qualifier. Since ascending to his role as an Agency Leader, Andrew brought along his continued streak of achievements, landing the Top Unit for 3 years and Top Recruiter for 6 years. His passion in recruiting and grooming the new generation of leading advisers has resulted in him leading one of the biggest, and youngest teams in Synergy as a Director. Positive and caring, Yvonne focuses on personal solutions especially in family and life planning to help clients achieve financial independence and look forward to a comfortable retirement. With over 18 years of experience, Yvonne is a life & qualifying member of the Million Dollar Round Table (MDRT). She has also groomed a team of young representative to become top producers of the MDRT in a span of 2 years. As a high achiever, she shares her success with wise words – Control your own destiny by the actions you take today! Success is definitely on the way! As a partner of Synergy, Edmund seeks to empower others with financial knowledge for financial freedom. Equipped with a Masters in Business Administration from Vancouver University, Edmund oversees an agency force of financial advisers and managers guiding and helping them to achieve success. With 17 years in the industry, some of his achievements include winning the Million Dollar Round Table (MDRT), Top Rookie Award, Top Unit Manager and Top Director. Well regarded by clients for Estate and Succession Planning, Jeffrey brings along more than 25 years of experience in the industry. He has won numerous awards previously, including Top Rookie, Top Manager, Top in Recruitment and Productivity. He was also the President of IFPAS (Insurance Financial Practitioners Association of Singapore) in 2013. Shaping and moving the Insurance and Financial industry, Jeffrey continues to play a major role in instilling trust and confidence by the public. Ley Lee has been leading and grooming financial adviser representatives for 20 years prior to joining Synergy. She values the uniqueness in people and believes in a culture where resources are shared for more efficient systems to benefit both clients and advisers. Being highly passionate about the wealth management business, Ley Lee serves the needs of diverse clients in the growing ASEAN region. Never one to slink away from challenges, David takes on dual roles in his business – providing his clients with the advice they require to build a stronger financial future, while being a dedicated mentor to his consultants. Since joining the industry in Year 2000, David has groomed a highly-qualified group of consultants while achieving excellence himself year after year. David’s excellence in impacting his clients’ lives are endorsed with his multiple Elite awards and as a Million Dollar Round Table (MDRT) winner for 7 years. As a dedicated leader, David strives to help his people continue to grow and excel in their career. The rewarding moments in his career is watching the people in his team grow from strength to strength. Highly accomplished in his 20 years of experience, Tiong Eng is a Chartered Wealth Manager, a Professional Estate Planner and also holds a Bachelor of Commerce. He was previously the Vice President in IFPAS (Insurance Financial Practitioners Association of Singapore) where he stepped down in early 2015. He specialises in comprehensive financial planning, wealth preservation, legacy planning for high net worth individuals. A 6 times Million Dollar Round Table (MDRT) winner, he often gives back to society by being a Moneysense speaker to schools and companies on financial planning. As a proven coach in personal and career development, Tiong Eng has also changed the lives of many.